Staffing a law enforcement agency is about a lot more than meeting the lofty goal of authorized strength. It’s about people. Personalities, skills, ethics and training are just a handful of the puzzle pieces that must carefully fit together to create a successful team. Choosing the right people to offer a gun, badge and the power to hold the public’s civil rights in their hands can be a daunting task. Meeting this challenge head-on, though, can be the difference between an engaged team with positive morale or an agency wrought with lawsuits and an onslaught of resignations. Traditionally, officers have been stereotyped as “Type A” personalities; high energy, high stress, stoic and robotic. But in the two decades since “community-oriented” became the catchphrase in policing, most agencies are looking for personalities that refute those engrained stereotypes. Traits like compassion, critical thinking, creativity, teamwork, ethics and professional responsibility are today’s buzzwords. So, how do agency hiring teams identify desirable traits in potential candidates during an interview process to ensure they meet those expectations? Department of Criminal Justice Training Human Resources Branch Manager Tina Moss said it’s all in asking behavioral-based questions. For example, instead of asking an interviewee how they would handle a particular situation, ask them how they have handled that type of situation in the past, and ask them to offer specific examples. Often, nervous candidates regurgitate prepared answers or tell interviewers what’s already on their resumes, she said. Moss suggests asking questions about difficult situations and how the candidate overcame them. Ask questions that lead to answers about a person’s interpersonal skills, their adaptability and how they deal with difficult people. Moss also suggests being prepared to ask follow up questions to draw out more details from a candidate’s initial response. Many people who have great experience are reluctant to brag on themselves, Moss said, or simply don’t interview well. Nearly two years ago when Richmond Police Chief James Ebert took the helm, his department was almost 20 officers short of authorized strength and still recovering from the trauma of losing an officer in the line of duty. It had been some time since a recruiting process was open, and the new chief was looking at filling his ranks. He and RPD Assistant Chief Rodney Richardson began thinking creatively about re-building a team that shared Richmond’s community values and the agency’s vision. Ebert and Richardson began by establishing a diverse interview panel from within their agency to give current officers input into hiring decisions and capitalize on their unique perspectives. As Moss suggested, RPD has had success with scenario-based, behavioral interview questions when identifying the traits they seek from candidates. Determining a person’s level of ethics can also be assessed using scenario-based questions. For example, Richardson described a situational question in which another officer acts unethically and asks the interviewee how they would handle it. Recognizing that not everyone interviews well, Ebert and Richardson are exploring a new opportunity to draw out candidates who might perform better in a scenario-based activity as part of the hiring process. Using role players, candidates would respond to a simulated call and attempt minor resolution. Communication skills are a critical trait RPD hopes to identify from candidates. Observing how a candidate communicates during the activity identifies a different skillset than how they answer questions at the interview table, Ebert said. Beyond the basic traits a law enforcement officer should possess to be effective, it’s important that in selecting candidates, you’re hiring those who share the values and vision of the department and community. While policing is somewhat universal, the culture of each department is often unique to the individual community’s needs. To find the best fit for your department, that vision should be shared with potential candidates early in the process. The hiring process at RPD starts with academic and physical testing. On day one, Ebert said he begins the day by explaining the department’s brand. An important way RPD has further shared their brand is by encouraging all applicants to participate in at least one ride-along during the interview process. Candidates who have no prior law enforcement experience sometimes have expectations of the job based on what they have seen on TV, Ebert said. Ride-alongs offer candidates a birds-eye view of the department’s daily activities. Successful candidates at RPD all have completed at least one ride-along, if not several, Richardson said. That combined with communicating the message often about the department’s expectations has led to well-informed new hires. While all these suggestions may be helpful once you are face-to-face with a potential candidate, sometimes the challenge is getting the right people to know you’re hiring and take that first step in the door. Social media has become an increasingly popular way to reach potential applicants because of the ease of sharing with an audience. But like any effective social media post, the content must be attention grabbing for followers to engage with the post. Moss suggests photos or videos that highlight the people and opportunities within your department. While social media is free, considering the option of “boosting” a post with a small budget on Facebook can go a long way, she said. Boosting a post entails setting a budget for what you are willing to spend to increase the number of people who see specific content you share. As a committee chair for an organization that had a meager following of 300 people on Facebook, Moss said their posts were not receiving the attention they needed to successfully advertise their campaign. “Meaningful interactions” now are prioritized and a greater emphasis is placed on friends and family content generated into a user’s newsfeed rather than content from pages and groups they follow. For example, if your organization has 10,000 followers, only a small percentage of those individuals will see the content you post unless it generates meaningful interactions with users. RPD Chief Ebert said Facebook is the number one way the department distributes its message about open recruiting. However, he has sought a variety of other outlets to reach candidates. With Eastern Kentucky University housed within the city, Richardson said the department has been successful with offering internships as a recruiting mechanism. City ordinance requires that the agency run an advertisement in the local newspaper, and Ebert said using the website Indeed.com to list openings has been successful. In an effort to identify more minority candidates, Ebert said he recently listed a hiring advertisement with the National Minority Update website. Additionally, RPD has worked together with the city’s Human Resources department to write letters to the NAACP and universities, such as Kentucky State University, to alert them to the open positions and seek minority applicants. However, the most significant recruiting advice Ebert and Richardson had to offer is to take a proactive stance. 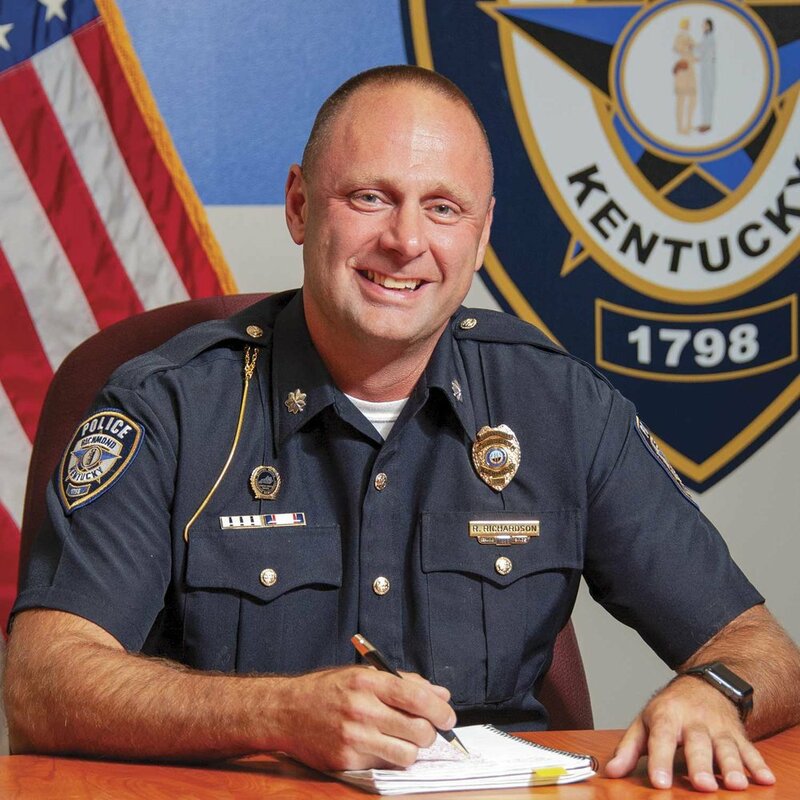 Because the hiring process for law enforcement is a lengthy one, Ebert said taking the aggressive stance in recruiting and creating a standby list has reduced the long gap between losing an employee and filling the empty slot with a trained officer. “If you wait until you have an opening, you’re already behind the game,” Ebert said. Richardson said the agency has taken the same approach to internal promotions. With several sergeants eligible for retirement soon, the process to promote the next group of supervisors already has begun so that those selected for the promotion can move in immediately when a departure is announced. While the age of entrance to law enforcement varies for many, the state requires that an applicant be at least 21 years old. This means many new, age-eligible applicants were born in the late 1990s, making them millennials. In successfully recruiting applicants from this generation, it’s important to know what these candidates are looking for in a career. For example, Langham wrote that millennials are more interested in “striking a balance” between their personal and professional lives. Officers who are married to the job are no longer among the norm. Langham recommends recruiters address the familial bonds in law enforcement and encourage a family-supportive mentality. Flexibility is key for millennials to be happy in their careers, but can often be a challenge in law enforcement scheduling. In the Fortune magazine article, “Three Things Millennials Want in a Career,” author Adam Miller also reinforced the importance of flexibility. In addition to flexibility, Miller identified inspiration as a key theme millennials seek in the workspace. He directly attributed this shift to the training realm, and how training is no longer considered a time-consuming mandate and instead is sought as an opportunity for growth. There are many other traits millennials seek, such as the importance of social causes and a sense of purpose in their work that make their drive toward law enforcement a sensible career choice. Younger generations have become known for moving around instead of committing a lengthy career to one employer. Miller quoted numbers from the Bureau of Labor Statistics indicating the average young adult holds 6.2 jobs by the age of 26. In recruiting, remember that you are not just seeking an employee. 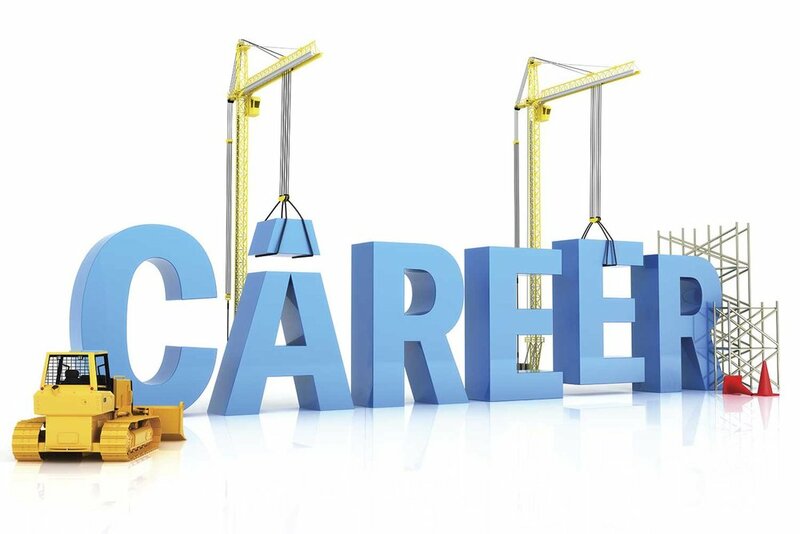 Your potential candidates are seeking a career where they can thrive. Any opportunities your agency has to meet the aforementioned desires young applicants seek should be highlighted and demonstrated. If your department has found itself understaffed with low morale among frustrated officers, it’s easy to feel the rush to quickly fill those slots. Lakeside Park-Crestview Hills Police Chief Christopher Schutte encourages law enforcement leaders to resist the urge. Today, LPCH is a fully-staffed agency with a lengthy retention rate. But that wasn’t always the case, Schutte said. While LPCH has a variety of opportunities it offers potential candidates, it is still a small northern Kentucky agency. Some officers joined the department without a full understanding of the department’s values and vision. While those years of being short staffed were difficult, Schutte said they occurred because the department became much more selective in its hiring process to avoid the scenario that led to the short staffing originally. Schutte said the LPCH administrative staff were not afraid to be inconvenienced by re-advertising an opening if they didn’t get the best candidates in the first round, or by waiting to send a new recruit through the academy instead of hiring a lateral officer, if it meant finding the right fit for the individual and the department. To ensure they have selected the best candidate, RPD has begun its own pre-academy, which allows new hires to spend about six weeks with the department before beginning the DOCJT basic training academy. During this pre-academy, new hires have an opportunity to run through firearm qualifications, practice their physical training entry requirements, ride with PTOs to begin learning the geographic boundaries and interacting with the community. The pre-academy has been a burden on the department, Richardson said, but it is something the entire department embraced because they could see the potential benefits. New recruits in those early weeks have the opportunity to meet and spend time with their new co-workers, which has allowed the veteran staff to offer their input into who has been selected. In those weeks before the 20-week DOCJT basic academy begins, Ebert said it gives both parties an opportunity to identify whether they made the best choice and, if necessary, part ways before investing a lot more time and money into a candidate who isn’t going to work for the department. After the recruits complete their DOCJT basic training, their field training is smoother after having spent those six weeks on the front end learning the community and the department’s culture.